I threw on Heliocentric, what I thought was The Ocean's newest album (until I saw they had just released Anthropocentric), just to have some background noise after I got home from a dull day at work. I just wanted something that would fade into the background as I checked my email and chatted with the roommate. After the first song or two I realized that I had stumbled upon something different. 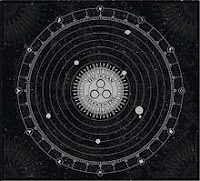 Where most post-metal albums (the ones I've heard anyway) tend to be atmospheric and trance-like, Heliocentric was the opposite. It contained songs with full thoughts and structure, Not only that but it also had songs of different composition and instrumentation mixed in. It wasn't the same old picture rehashed track after track. Besides the ho-hum intro track, the rest of the album contained solid sonic gold. This is just a quick little article, because it was my first listen of Heliocentric, and I have previously not liked any other album by The Ocean, so I don't have a lot to say. I feel now that I have to go back and give the rest a try, after hearing the (truly) newest album, Anthropocentric, of course. 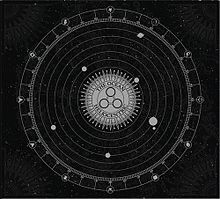 As it stands now, Heliocentric, is one of the best albums I have heard of the year, and would make a great addition to my Favorite Albums page. I want to listen to it a couple more time before I do a full write-up of that however. Let the waves of The Ocean caress my brain a little more. Keep tuned for that and a following article (probably) about Anthropocentric.